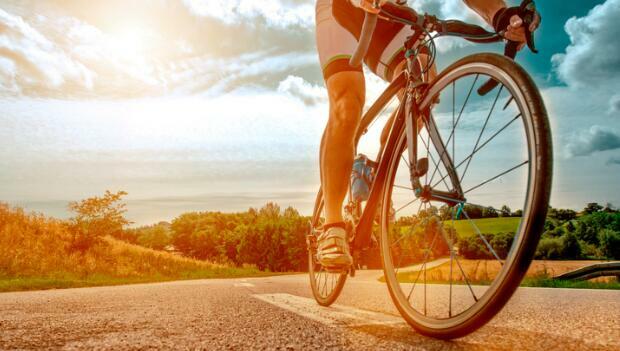 In all likelihood, your first century ride will be the longest bike ride you've ever done. Could you possibly know every setback you may face ahead of time? It pays to get wisdom from those who have conquered a century ride and learned a lot from it. So Active.com interviewed two riders who recently did their first century. Both were relatively inexperienced cyclists when they clipped in and took off on a 100-mile journey that was both exhilarating and painful. Mari Lohr of Santa Monica, California, was extremely new to cycling when she signed up for a 60-mile charity ride to benefit a friend's son who was diagnosed with ALS. After catching the bug and gaining confidence, she decided to up the ante and sign up for the 100-mile Ride to Defeat ALS in Napa, California. Gary Highfield of Chattanooga, Tennessee stepped on the scale one day and weighed 248 pounds. He vowed he would never see 250 and joined the Chattanooga Bicycle Club with a decades-old bike that was falling apart. After a few equipment upgrades, he signed up for--and suffered through--the Sequatchie Valley Century. A few months later, he took on the daunting 3-State, 3-Mountain Challenge century ride despite some telling him to steer clear until he gets more experience. "It's a real booger," Highfield said. "But 1,700 other people did it, dadgummit. Why not me?" Staying relaxed and loose are some of the most important things you can do during a century ride. Short on experience, Highfield used grit to conquer his first 100-mile ride. He gripped the handlebars tight and pedaled like crazy. When he got done, his right pinkie finger was numb. He's had problems with it ever since. "Moving your hands and keeping them loose is critical," Highfield said. "You can hurt yourself." Cycling veterans recommend keeping your body loose, and not locked in. Relax your shoulders and bend your elbows slightly. This can also keep your neck and back from seizing up from the long grind of a century ride. Most established century rides are well-marked and make it hard to get lost. But have a backup plan ready in case. Most rides offer cue sheets. Or you can pack a map. At the very least, having a GPS will keep you better-informed about how far along you are. "I didn't have a Garmin," Lohr said with a laugh. "I recommend a Garmin." At one point, Lohr was all alone on the route with no fellow riders in sight, and doubts about whether she was lost started creeping into her head. She wasn't, but the simple act of mentally retracing her steps to figure out if she made a wrong turn was taxing. "It helps mentally (to know where you are)," Lohr said. "If you do too much trying to find yourself, it drains you." More: What Type of Century Rider Are You?